Having produced its 20-title longlist last month, the €25,000 German Book Prize today (September 11) has named its six shortlisted titles. 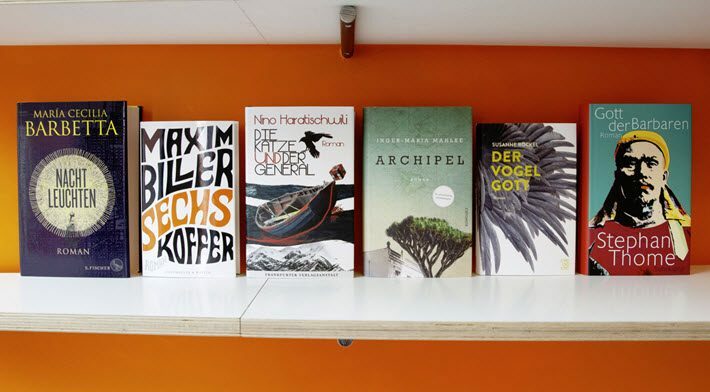 Produced by the Börsenverein des Deutschen Buchhandels—Germany’s association of publishers and booksellers–the award is considered among the German market’s most prestigious for literature. 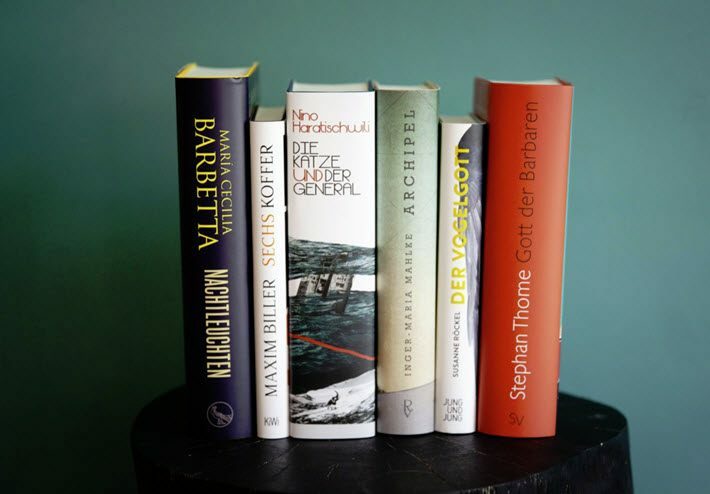 Its six shortlisted authors—four women and two men—won’t know which of them has won the prize until the October 8 award ceremony in the Frankfurt Römer to coincide with the start of the Frankfurter Buchmesse. The winner receives €25,000 (US$28,953), and the five shortlisted finalists are given €2,500 each (US$2,895). Since the submission process began, the seven members of the jury have reviewed 199 titles published between October 2017 and 11 September 2018. Deutsche Welle, the television network, supports the German Book Prize in its media activities both at home and internationally. You can see the award ceremony on October 8 on a live stream here. Radio stations Deutschlandfunk and Deutschlandfunk Kultur will also broadcast the ceremony as part of the Dokumente und Debatten program (Documents and Debate) on digital radio found here. In its coverage of the prize’s shortlist this year, Deutsche Welle makes the point that historical fiction is prominent in the jury’s selections. That’s reflected in the range of settings and events, many of them political, which inform the authors represented on the list. Maria Cecilia Barbetta’s Nachleuchten (Night Lights), for example, is set during the opening days of the 1970s Argentinian junta, and Nino Haratischwili from Tbilisi writes in Die Katze und der General (The Cat and the General) of the Soviet oppression of Georgia, this year’s Guest of Honor at Frankfurter Buchmesse. Maxim Biller’s Sechs Koffer (Six Suitcases) is about a family’s flight to a foreign land, reflective of the author’s experiences in immigrating to West Germany from Prague. Criminologist Inger-Maria Mahlke’s Archipel (Archipelago) spans several generations of family history in the Canary Islands. Stephan Thome’s Gott der Barbaren (God of the Barbarians) is set in China’s opium wars of the 1840s, and Susanne Röckel’s Der Vogelgott (The Bird God) examines cult-like devotion to a mythical being from the perspectives of a devoted follower’s children. Also making a timely appearance on the shortlist as Georgia is this year’s Guest of Honor at the Frankfurt Book Fair is Georgian-born author Nino Haratischwili, who writes in German. Her book, Die Katze und der General (The Cat and the General), is about a Russian oligarch trying to escape his past by starting a new life in Berlin. Beginning September 26, you’ll find excerpts in English from the shortlisted titles, along with background information on them, at the New Books in German site, a resource for publishers, translators, booksellers, and readers. Additionally, a team of bloggers, after reading the 20 longlisted titles, are writing reviews and will provide background information and contributions for critical debate. This content will be found on the Facebook page of the German Book Prize and elsewhere on various social media through the hashtag #dbp18. In a prepared statement, Christine Lötscher, speaking for the jury, is quoted, saying, “‘The past is never dead. It’s not even past’—This famous line, which Faulkner wrote in 1951, hangs like an unspoken motto over this year’s German-language literature. “The six novels deemed by the jury to be the most important and well executed of the year each follow completely different paths into the past or into mythical layers of reality—fabulating, speculating, playful; with laconic elegance and bittersweet precision, with epic slowness and suspenseful momentum. Christoph Bartmann is director of the Goethe-Institut Warsaw, a literary critic and author, and was a member of the jury for the German Book Prize 2008. Luzia Braun, ZDF, is acting director of aspekte and editorial manager of Das literarische Quartett. Tanja Graf, director of the Literaturhaus München, was previously publisher of Schirmer Graf Verlag and Graf Verlag, an imprint of Ullstein. Paul Jandl, an independent critic for Die Welt and Neue Zürcher Zeitung, was also a member of the jury for the Ingeborg Bachmann Prize from 2009 to 2013. Uwe Kalkowski, author of the literary blogs Kaffeehaussitzer and Book Prize Blogger in 2015, was the winner of the Book Blog Award last year. Marianne Sax, owner of the Bücherladen Marianne Sax bookshop (Frauenfeld), is president of the Schweizer Buchhändler und Verleger Verband, the Swiss Booksellers and Publishers Association, until 2016. She’s program director for the Thurgauer Literaturhaus. Television network Deutsche Welle supports the prize program in German and international programming. 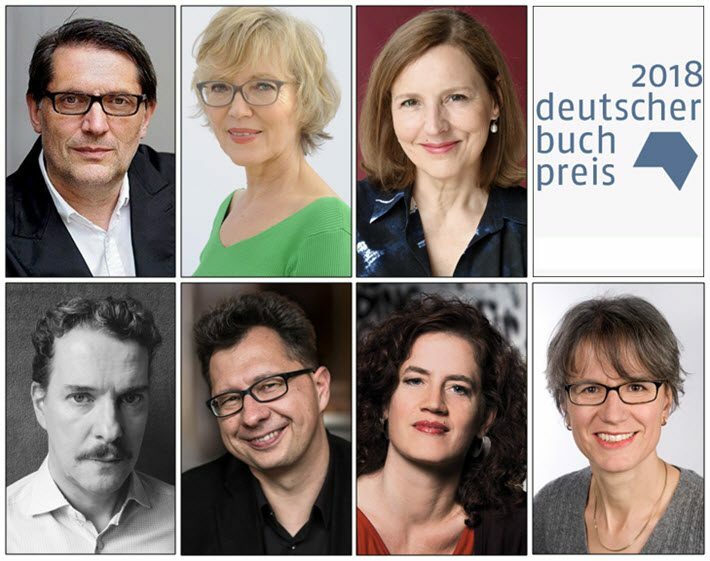 The Deutscher Buchpreis 2018 jurors are, clockwise from top left, Christoph Bartmann, Luzia Braun, Tanja Graf, Paul Jandl, Uwe Kalkowski, Christine Lotscher, and Marianne Sax. 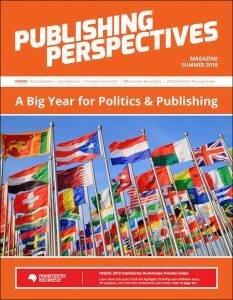 More from Publishing Perspectives on the German Book Prize is here, and on book awards on the wider scale here.